Looking to sell your dragline digger or excavator? Is your dragline digger or excavator up for sale? Do you have a dragline digger or excavator for sale? Are you looking to sell your dragline digger and get instant cash? Not all diggers created are equal and the dragline digger is certainly something, which is a cut above the rest. 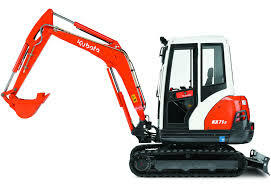 This type of excavation machinery is specialised and used mainly in surface mining or civil engineering. Dragline diggers tend to fall into two main sections – those that are basic, and based on your standard lifting cranes, or those which are bigger heavy units which need to be built and then dismantled on site. Often used for road and port construction, or pond and canal dredging, even the more basic, standard draglines undertake heavy-duty work, and we’re happy to purchase yours for cash. Similarly, the bigger units, which are, used more in strip mining or oil sand mining are machines we’re happy to buy. Although the largest of these machines weighed up to 13,000 tonnes, weight is no object to us. So if you you’re looking to sell your dragline digger or a have a dragline excavator for sale, be sure to get in touch with us today. All we need is a few details about your machine and we will be able to provide you with fast cash quote for your dragline excavator. 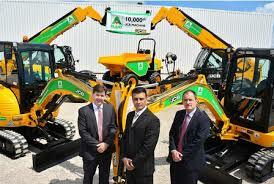 Also, you can be rest assured, we only collect your digger once you have been paid. Simply fill in the Request a Valuation form now and we’ll be straight in touch to value your dragline digger or excavator!